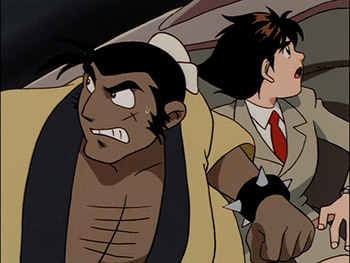 Tetsugyu and Daisaku - Caught by surprise! Submitted by Big Fire on Fri, 03/12/2010 - 19:04. The boys brace themselves for an unexpected visitor...Making their escape with Dr. Shizum and the sample drive, the Experts of Justice run into a Big Fire ambush! Submitted by Jarod on Fri, 10/08/2010 - 20:18.